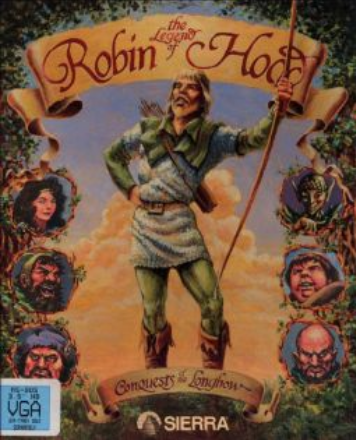 Conquests of the Longbow: The Legend of Robin Hood was the second and final Conquests game. It follows Robin Hood as he steals from the rich to pay for King Richard's ransom and avoids being captured by castle guards. Conquests of the Longbow is now supported by ScummVM, a program designed to let 2D adventure games run on multiple platforms. With ScummVM, Conquests of the Longbow now runs on modern versions of windows, as well as Linux, Mac OS X, and many consoles such as Dreamcast, Wii, PlayStation 2, and PlayStation Portable. For a complete list of platforms supported by ScummVM, see here.